If you thought Intel's Core i9-9980XE or AMD's Threadripper 2990WX were expensive, high-core-count CPUs, think again. Intel has finally released the 28-core monster which it overclocked to 5GHz across all cores at Computex last year. It's not quite as capable as that sub-zero-chilled chip right out of the box, but it is monstrously powerful. Its price tag is monstrously high to match, too, sitting just shy of $3,000. The Intel Xeon W-3175X is the highest core-count CPU Intel has ever released. With hyperthreading it has full support for up to 56 threads at a time — just a handful less than AMD's 2990WX Threadripper CPU. It has a base clock of 3.1 GHz and a maximum single-core turbo boost frequency of 4.3GHz at stock. However, the chip comes fully unlocked and delidded, so the overclocking potential is huge for those who have a high powered cooling rig to keep its temperatures down. You'll really need it too, as this chip has a stock TDP of 255w, meaning it'll require more than your average watercooling set up just to maintain stock frequencies without thermal throttling. It also features 38.5MB of onboard cache, 68 PCIExpress lanes and six-channel DDR4 memory support for up to 512GB of ECC or non-ECC RAM. 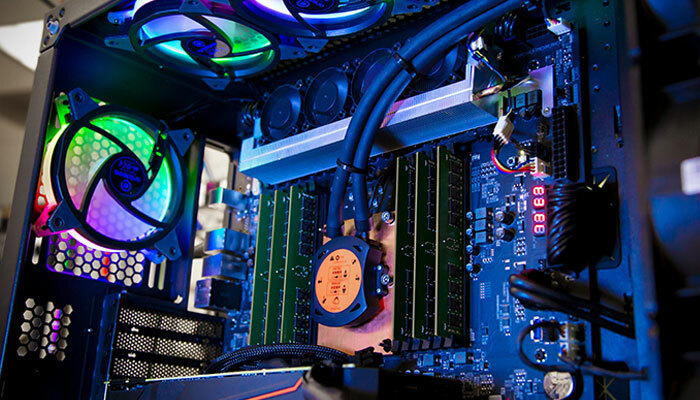 Other features include support for Intel AVX-512 instructions, Intel Turbo Boost Technology 2.0 support, a new Intel Extreme Memory Profile function that makes memory overclocking easier, and it comes with a high-end liquid cooling system from Asetek. Early reviews suggest it is indeed a very powerful CPU, offering a middle ground between single-threaded powerhouses like the Intel Core i9-9900K and multithreaded monsters like the 9980XE. It often beats out AMD's 2990WX in tests, though with overclocking that AMD CPU isn't always far behind. Considering it's $1,000 cheaper too, Intel may find this chip is a difficult sell, apart from to the mega rich. That’s okay, I’ll get it, then I’ll use it to farm bitcoins, then I’ll be $3,000 in the hole cause that was a dumb idea, oh yeah I just won’t buy it, I just broke even woot! "Chill Cooler System" nice ring to it. The one Baited by AMD. Hahahaha. Intel is seriously desperate.